Industrial equipments very much relates on lubrication, but whenever there’s a problem with the Industrial’s equipment every eye turns to the Synthetic Industrial oils, which leaves the root of occurrence left open. Hardly anyone goes to the cause of problems or find appropriate solution for it. However Synthetic oils manage to resolve issues related to Industrial equipments. Let’s find out what are the problems which Industrial oils can solve? Industrial oils are manufactures to provide stability at much higher temperatures, as due to environmental factors equipments often suffers reduced efficiency, which increases carbon, sludge, varnish building on the internal equipment surface which increases the oxidation and volatility of oil with minerals. 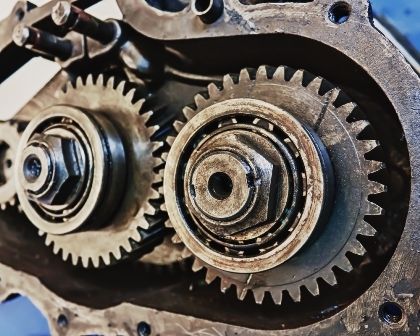 Industrial Gear Oils are chemically designs in a way to provide thermal stability in the Industrial equipments, and because of that synthetic oil contains none paraffinic compounds and zero impurities in them which becomes thicker in cold temperature, which causes reduce in fluidity and increases the friction. The specialty of Synthetic oil is that they remain very much fluid even at extreme low temperatures than any other lubricants, providing lubrications to increase performance even at the critical temperature with increase component protection. It’s better to research which lubricants suits the industrial equipments other than keep on experimenting with different lubricants. The best way is to ask the manufacturers or to follow the machines manuals. The more frequent change in oil leads to more errors in equipments which cause trouble while manufacturing the products and can even harm the machines badly. And with less synthetic oil change, the environmental impact is reduced to a large percentage because of less toxic materials gets disposed off. And it is also very much obvious that change in oil increases wear rates which ultimately effects on the operating cost. Industrial oil comes in different brands, grade blends providing different viscosities. But the one thing is common in them is that they all are engineered enough to provide stability even under the wide range of temperatures from extreme cold to hotter climate. As it is the topmost requirement of today’s modern industries.